Opened in 1950, Chalet Sports is a locally owned and operated business located in downtown Bozeman, MT. The shop carries a wide variety of alpine ski equipment , road bikes, mountain bikes, footwear and all the apparel you need to enjoy the outdoors. Free In-Store Pickup: If you’re looking for a secure place to ship your evo purchase, or need additional service, local knowledge, or just a place to go talk about your favorite activities, then we’re proud to partner with Chalet Sports and know that they’ll take care of you when you visit. 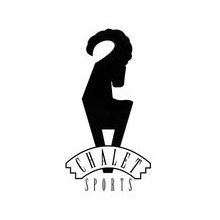 If you choose to pick up your order at Chalet Sports, you'll receive an email when your order is ready for pick up. Orders will be held for 30 days unless additional time is requested. When picking up orders, please bring your order number, and a photo ID.